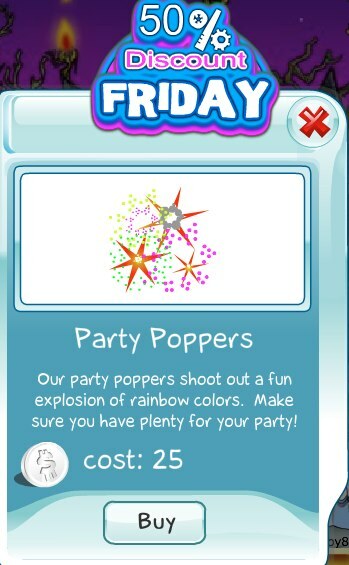 Today's 50% Discount Friday item is the Party Poppers. These are great to have when you throw parties in your home to add some color. This offer is valid today only, so act quickly.